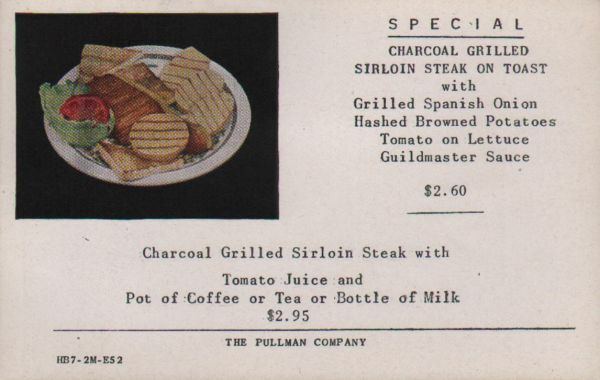 Description Pullman insert (called a rider by Pullman) advertising a Special: Charcoal Grilled Sirloin Steak On Toast, with Grilled Spanish Onion, Hashed Brown Potatoes, Tomato on Lettuce, Guild-Master (Guildmaster) Sauce $2.60. Charcoal Grilled Sirloin Steak with Tomato Juice and Pot of Coffee or Tea or Bottle of Milk, $2.95. 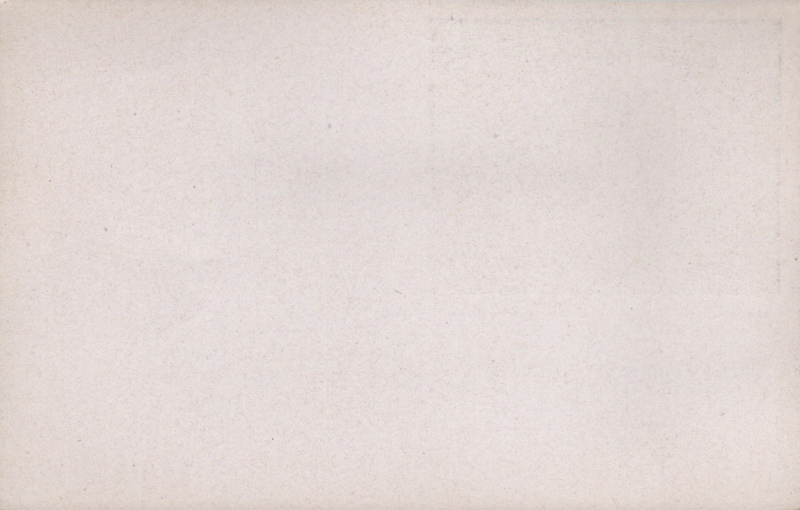 The Pullman Company HB7-2M-E52. This rider was purchased as part of a large group of Pullman inserts and was not attached to a specific menu.